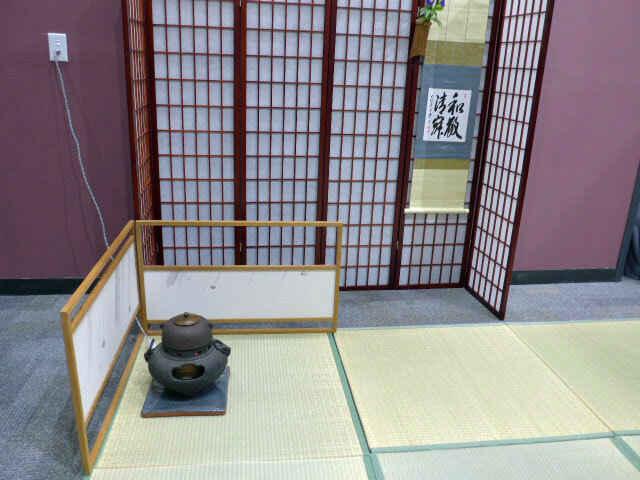 Anyone interested in the art of Japanese Tea Ceremony, Issoan Tea has a new place to study. In addition to classes at Issoan, we had our first lesson at the Jasmine Pearl Tea Company in their Darjeeling room. It is located at 724 NE 22nd Ave, Portland, OR 97232. Classes will be held there every Wednesday night 7-9 pm. Current Issoan students who study other nights or times are welcome to come and study at the new facility. Please let me know you are coming so I can make sure I have sweets for you. The space is a large conference room. 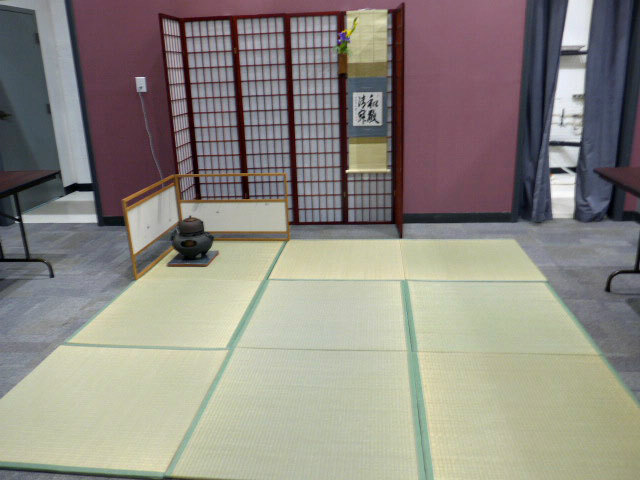 We temporarily laid down four and a half tatami mats and made a tokonoma from folding shoji screens. The room is carpeted and has access to a a large commercial sink, lots of counter space, pass through wall opening, and hot water heaters. There are lots of tables and chairs, electrical wall outlets, and storage for the tatami and shoji. The space is flexible and we can set it up for tea room, or we can hold workshops classroom style, or invite speakers for visiting lectures, or set up video movie nights or whatever we decide to do. 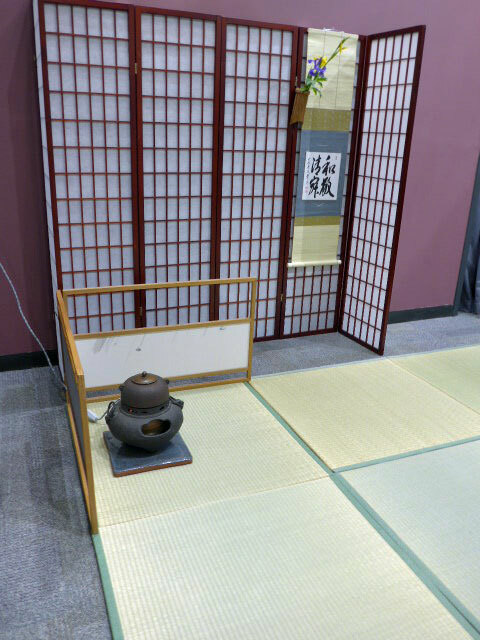 We will also be doing Chanoyu presentations once a month, the first Sunday starting in June. This is exciting to have a new place to study that is accessible to more students. A big shout out to Heather Agosta, owner of The Jasmine Pearl, for making this happen. The Jasmine Pearl also sells matcha, whisks and bowls. Stay tuned for future plans for this space.